For more information on the Tierney/MacNeill Photographs, the Curran Collection and other collections visit the UCD Digital Library website. Part 3 of the Eoin MacNeill: Revolutionary and Scholar series features a video presentation on the life and career of Eoin MacNeill by Professor Diarmaid Ferriter of UCD. 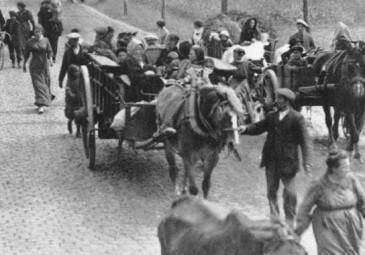 The video features images* from the Tierney/MacNeill Photographs (reproduced by UCD Digital Library from the originals held in UCD Archives) and the Curran Collection (reproduced from the original image held in Special Collections, UCD Library, by kind permission of Prof. Helen Solterer). For more information, and to view images from the Tierney/MacNeill Photographs, the Curran Collection and other collections visit the UCD Digital Library website. Image at top of page: LA30/PH/392. Group portrait of released 1916 prisoners outside Mansion House, Dawson Street, Dublin. © University College Dublin, National University of Ireland, Dublin, and Keogh Bros. Ltd (original image). About Eoin MacNeill: Revolutionary and Scholar. 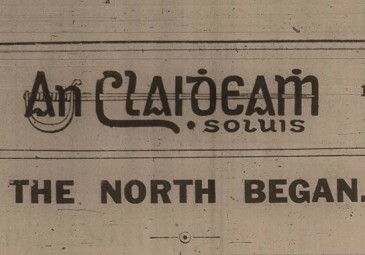 On 1 November 1913 Eoin MacNeill (Professor of Early Irish History at University College Dublin) published an article in An Claidheamh Soluis newspaper entitled ‘The North Began’. In this article MacNeill called for the creation of the Irish Volunteers, modelled on the Ulster Volunteers who had mobilized in opposition to Home Rule for Ireland. 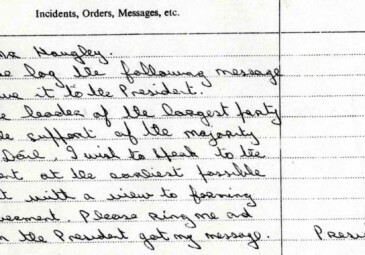 In the aftermath of his article, MacNeill was asked to take a central role in organising the Irish Volunteers. On 11 November 1913 the founders of the Irish Volunteers first met as a group in Wynn’s Hotel, Abbey Street. 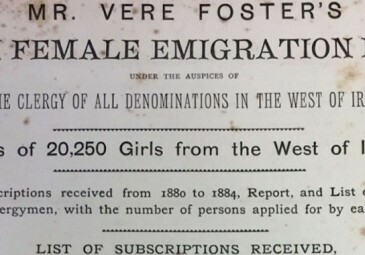 The launch of this organization at the Rotunda Rink on the northside of Dublin on 25 November 1913 was a pivotal moment in modern Irish history. Images from the Tierney/MacNeill Photographs were reproduced by UCD Digital Library from the originals held in UCD Archives, University College Dublin. © University College Dublin, National University of Ireland, Dublin. LA30/PH/325. Portrait photograph of Eoin MacNeill seated at a desk with an open book. © University College Dublin, National University of Ireland, Dublin, and Lafayette Ltd (original image). LA30/PH/392. Group portrait of released 1916 prisoners outside Mansion House, Dawson Street, Dublin. © University College Dublin, National University of Ireland, Dublin, and Keogh Bros. Ltd (original image). P61/12(1). Various items regarding the republican movement, including a postcard depicting Eamonn Ceannt. © University College Dublin, National University of Ireland, Dublin, and Powell Press Ltd (original image). CUR P 49: Eoin MacNeill image from the Curran Collection reproduced from the original image held in Special Collections, University College Dublin Library, by kind permission of Prof. Helen Solterer. 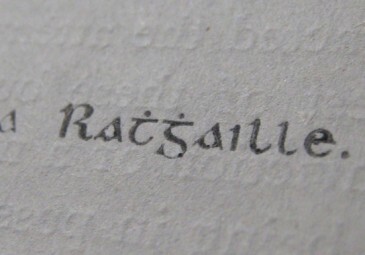 Digital image was reproduced by UCD Digital Library. © University College Dublin, National University of Ireland, Dublin.